The Mumbai City FC jersey for the 2015 ISL has been released, with Puma named as the official shirt sponsor for the upcoming season. Puma currently sponsors the likes of Premier League sides Arsenal and Newcastle United, as well as Bundesliga side Borussia Dortmund. The new kit features a blue jersey with a diagonal stripe spanning down to the bottom corner of the shirt. 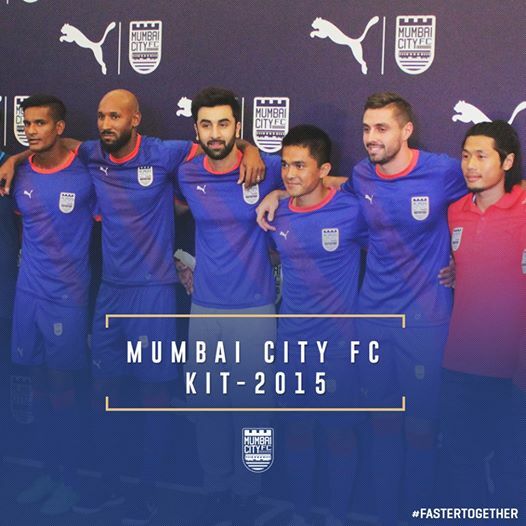 Mumbai City FC’s 2015 jersey sees a much lighter diagonal stripe in comparison to the previous season’s kit. The new jersey announcement came along with confirmation that the squad will travel to Dubai for preseason training and friendly matches. Ways to buy the 2015 Mumbai City FC jersey and other Mumbai City FC merchandise are expected to be announced shortly.